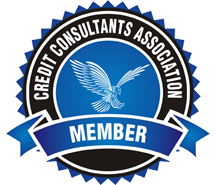 You probably know that having great credit lifts your finances like hot air in a balloon. It allows you to borrow at low interest rates, which saves huge amounts of interest on loans and credit cards. Additionally, having good credit helps your financial life in some surprising ways, including paying lower premiums for auto and home insurance, impressing potential employers who review credit in their hiring process, getting approved to rent an apartment or home and paying low or no security deposits for utilities and cell phones. While it’s important to focus on raising your credit scores, it’s also important to know what can’t help or hurt them, so you don’t sweat the small stuff. Read on for the 10 factors that don’t impact your credit scores. Checking your own credit reports. Pulling your own credit reports results in a “soft inquiry,” which never damages your credit scores. So, don’t be skittish about viewing your files with each of the nationwide credit bureaus – Equifax, Experian and TransUnion – as often as you like. You’re entitled to a free annual credit report from each of the three credit bureaus. If you subscribe to a credit site such as Credit Karma or Credit Sesame, you get unlimited access to free credit reports, scores and insights. Checking your credit reports regularly is the best way to correct mistakes, catch fraudulent activity and stop an identity thief in his tracks. Changes in income. You may be surprised that your income isn’t included on your credit reports. So, earning less or having a change in your income sources doesn’t affect your credit scores. There’s no connection between how much you earn and your credit. You can have excellent credit scores no matter whether you’re employed, unemployed, receiving government assistance or living paycheck-to-paycheck. Of course, losing your job or business income could severely affect your ability to pay your bills on time, which is a major factor in how your credit scores are calculated. Your personal information. There is personal information in your credit reports, but it’s limited to your name, current and previous addresses, Social Security number, birth date and public information, such as a recorded lien or bankruptcy. Since your credit files never include your race, gender, marital status, education level, religion, political party or income, those details can’t be factored into your credit scores. Making charges on a debit card. Since your credit reports only include credit accounts, bank accounts aren’t included. Therefore, using a debit card linked to your bank checking or savings account never helps you build credit. Being denied credit. If you’ve been turned down for credit, you may worry that it will hurt your credit. But your credit reports don’t show whether an application for a loan or credit card was approved or declined. Aside from a slight and temporary ding for having a “hard inquiry” on your report, there isn’t an additional consequence for being denied credit. Paying small businesses. Bills you pay to small companies or individuals for local services, such as lawn care, pest control or rent, typically don’t appear on your credit report. The credit bureaus have strict requirements about who can report consumer information to them, and in many cases, it’s just not feasible for small businesses. If a merchant doesn’t report payment information to the credit bureaus, then your payment history with that company can’t affect your credit scores. However, if you don’t pay up, and the merchant turns your account over to a collections agency, it typically would be listed on your credit reports. Paying someone else’s bills. If you want to do a family member or friend a favor by paying their credit accounts, do it from the kindness of your heart and not because you think it will boost your credit. Regardless of who pays a bill, it only gets reported on the credit file of the person who owns the debt. Shopping for the best rates. While applying for new loans and credit cards temporarily dings your credit, most credit scoring models are sophisticated enough to recognize when you’re rate shopping. They typically ignore multiple inquiries or count them as one inquiry if they occur within a few weeks. So, don’t hesitate to shop around for the lowest interest rates. Getting married. Your credit history and scores are never merged with someone else’s, even when you’re married. If you have a spouse with bad credit, that could affect your ability to get a joint loan or credit card, but it can’t taint your own credit file. Adding an authorized user to your credit card. Adding someone to your credit card as an authorized user allows that person to get a card in his or her name and make charges up to the credit limit you allow. The user’s credit situation can’t affect yours in any way, but you can help him or her build credit by making timely payments each month. However, your credit scores could crash and burn if an authorized credit card user abuses the account, and you can’t afford to make minimum monthly payments. So, always be cautious about adding anyone to your credit cards.